With spring officially here I’m ready to start tackling my list of projects. 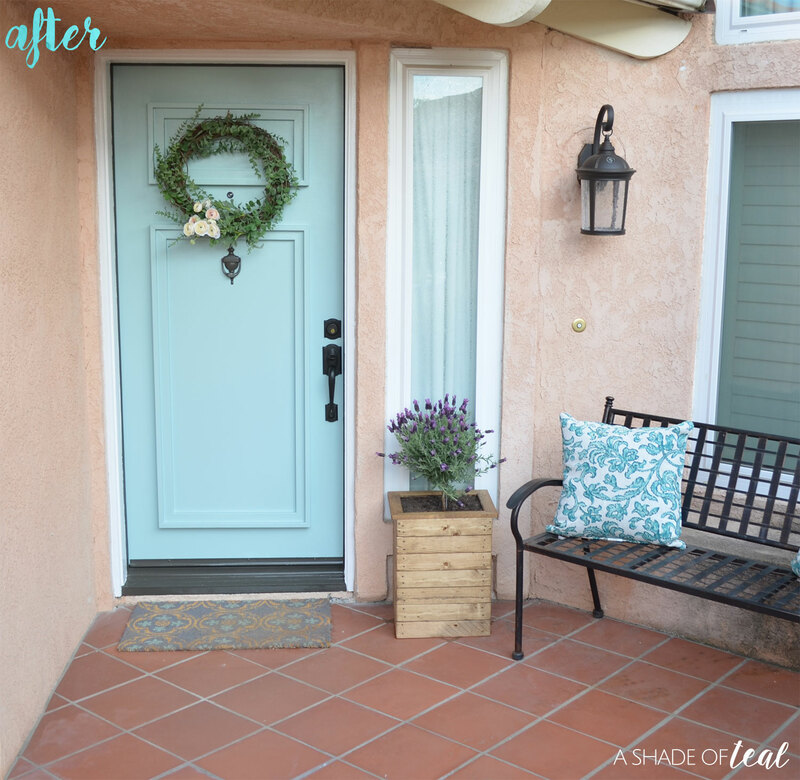 The first one up is giving my front door and porch a fresh new look! 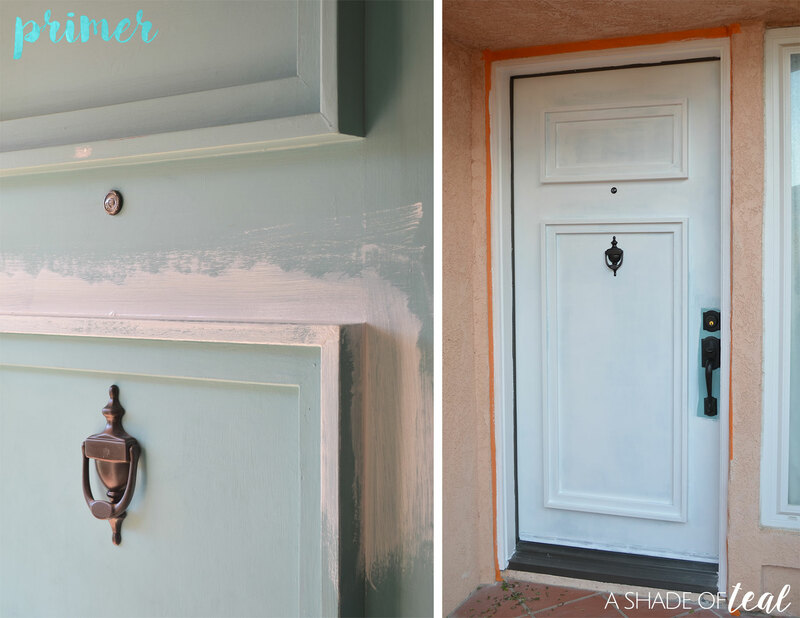 One of the very first projects I completed on my home was painting my front door. It use to be a burgundy-red color and I couldn’t stand it! 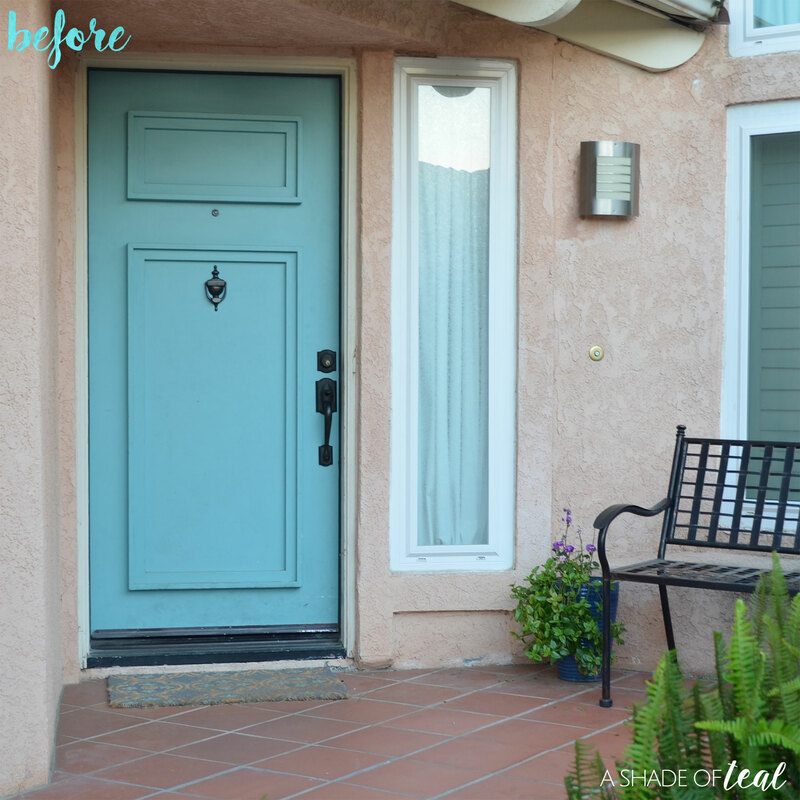 I remember getting the keys to our house and the next day I was determined to paint the door, of course I used whatever aqua/teal paint I had lying around just to get the red covered. I’m pretty sure it was a interior flat paint, so of course it wouldn’t stand the test of time. Well it’s been almost 4 years now and it’s time I paint the door correctly. Here are some before pictures. You can see how badly the paint I used held up. Chipping everywhere, scuff marks at the bottom, and the threshold and trim are horrible. The entire door needs a major makeover. 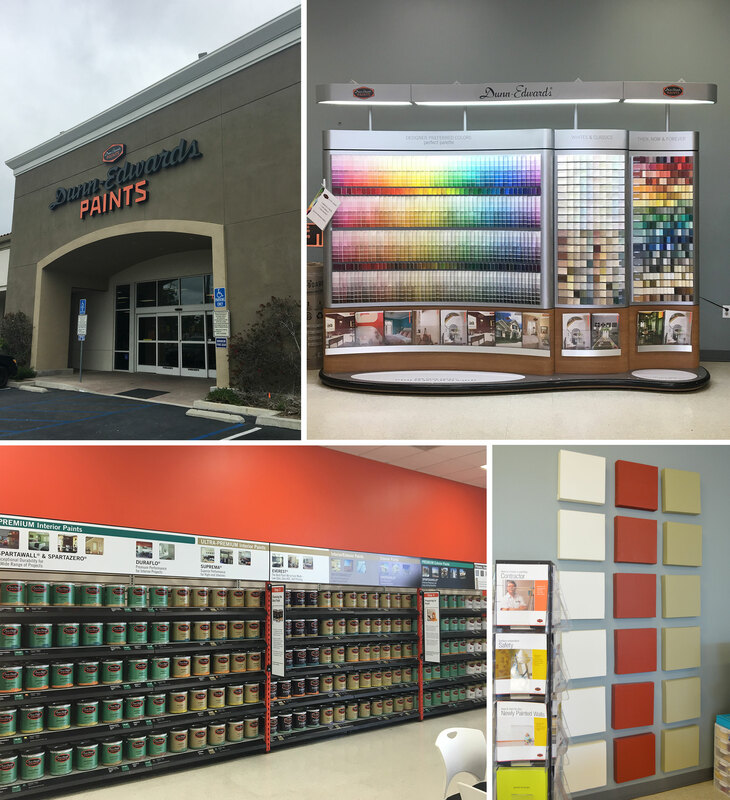 Lucky for me I have Dunn-Edwards right around the corner, the perfect place for color and quality paint! I set up a meeting with their PCA or Professional Color Advisor; if your unfamiliar with it then it’s their FREE color consultation service. Yes, I said free! I love that Dunn-Edwards offers this amazing service. Walqui (my local PCA) was so friendly and insightful on what type of paint and color I should use. I made sure to bring in a picture of my space and gave the general direction I was going for then she helped pick out the perfect color for me. I’m sure you guessed it would be A Shade of Teal, but having her help made picking the right shade so easy. After narrowing down what I thought was the color I wanted, I took home a sample to test on my door. Right now Dunn-Edwards is offering a coupon that’s valid for one FREE 8oz color sample, get it here. Dunn-Edwards also sells these PrimeCloth cards that make envisioning a color so easy. All you do it paint the color your questioning on the paper/cloth. The paper sheet acts as if a space/surface was primed, so you get to see the true color. Then once dry you simply peel the back off (like a sticker) and apply to where you plan to paint. It’s not a permanent sticker so you can remove it and place somewhere else. You can see the new shade is much lighter than my current color. Once seeing the PrimeCloth on my door, I knew that was the color I wanted. So I went back to the store to pick up the rest of the paint. 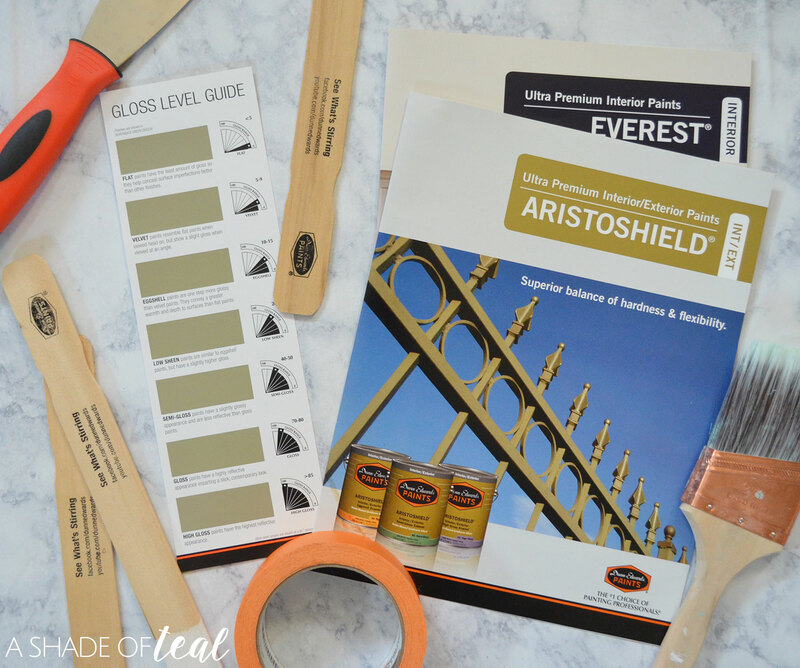 Since everything was being used outside I went with their ARISTOSHIELD® line in Semi-gloss. It’s a ultra-premium interior/exterior ultra-low VOC enamel, superior balance of hardness and flexibility, can be used a Direct-to-Metal (DTM) coating on properly prepared surface,excellent flow & leveling, which forms a durable, uniform finish, and Superior non-yellowing properties compared to other alkyd emulsion paints. 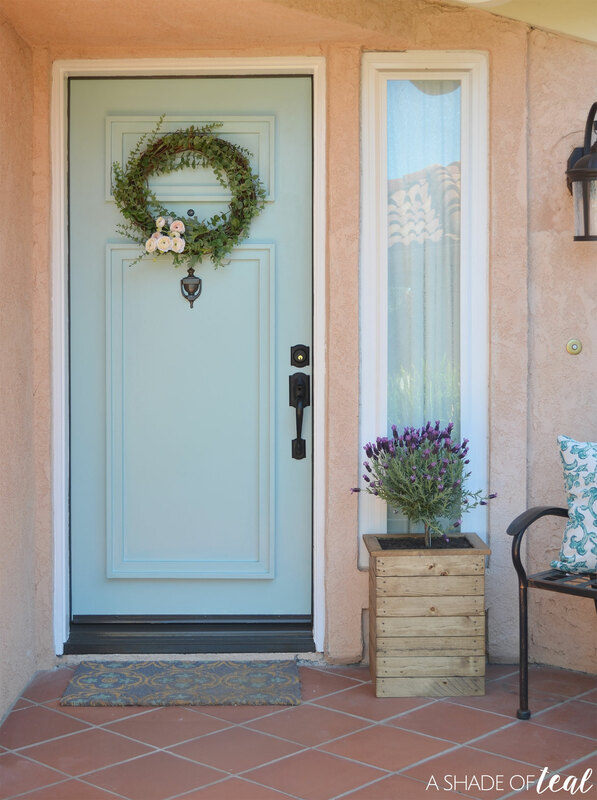 The door color is Seaport (DE5744), the threshold piece is Renwick Brown (DET630), and the trim is Cool December (DEW383). I also used their Premium Ultra Grip Primer on everything. Before painting I prepped everything, including patching holes with Spackle and resealing the trim. I also lightly sanded everything down, then taped off the trim. Once prep was complete I primed everything. After a day of drying I lightly sanded everything down again to rid of any excess blemishes. Then it was ready for paint! I ended up giving everything 2 coats. I also had to really make sure everything was dry before I could close the door, that way the rubber sealer on the trim wouldn’t stick to my freshly painted door. Here’s the after! 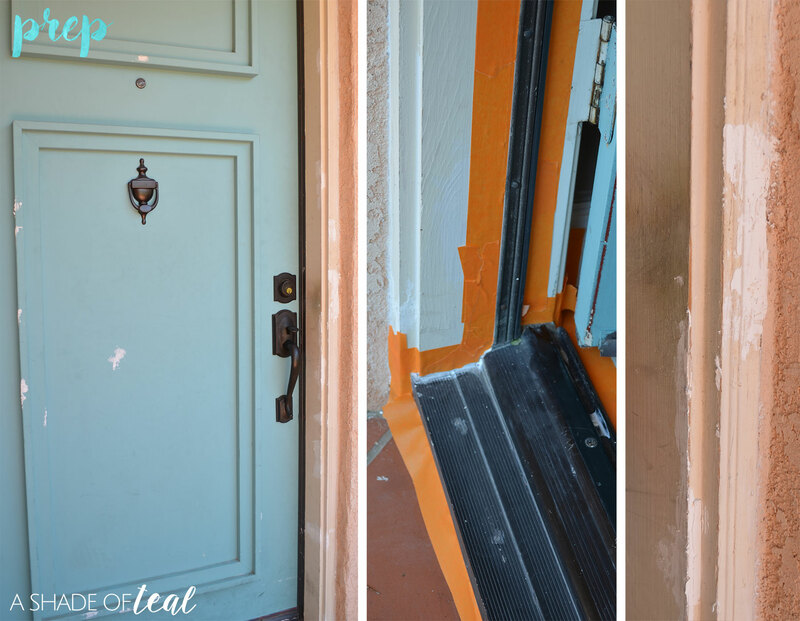 It’s a world of difference in person, just the trim and threshold look 100x better! The door also looks so sleek and clean with the semi-gloss finish. Plus the color my local PCA suggested looks great with my house color and floor tile. Not only did my door get a makeover but I also updated my porch. I installed a new light fixture, one that actually suits the style of my home! 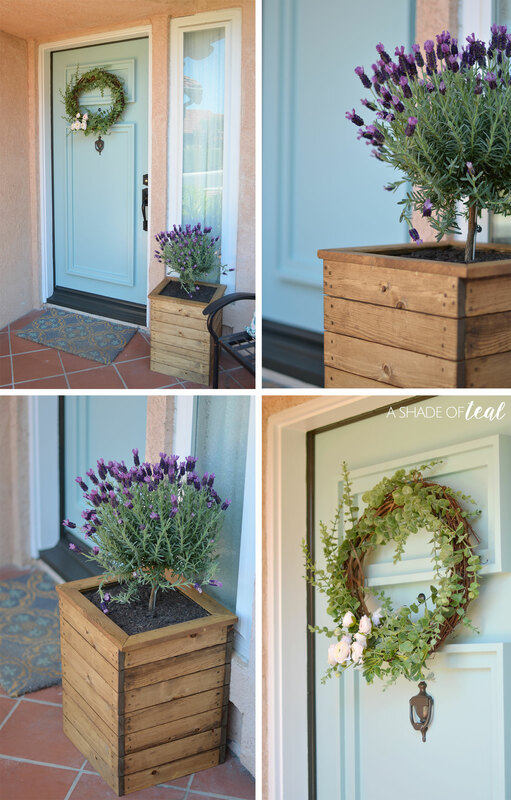 I also made a new wood planter box and a spring wreath. 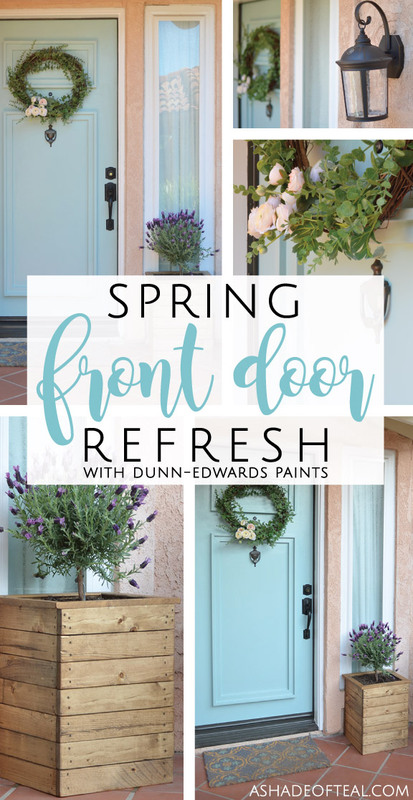 So that completes my Spring front door & porch refresh! I’m loving the space so much more! It’s definitely a more inviting porch than before, don’t you think? Don’t forget to visit your local store and sign up for your FREE color consultation service and grab your FREE 8 oz sample coupon here. My New Outdoor Dining Space! Plus a Giveaway! 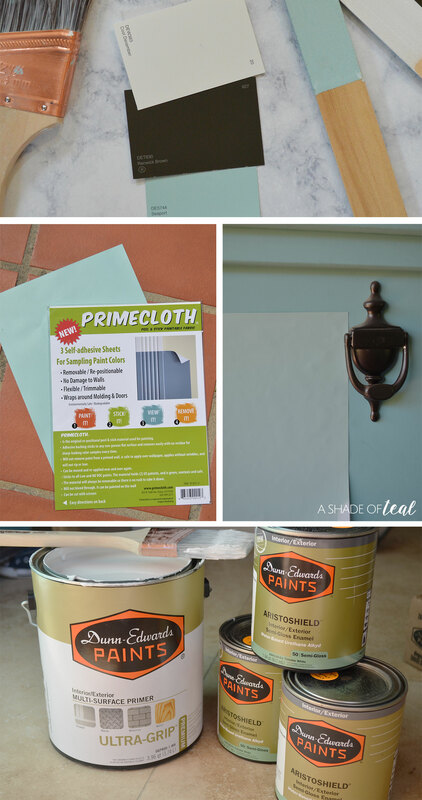 How to Chalk Paint a Crib! « Shop Shibori with Minted! Love the color choice! 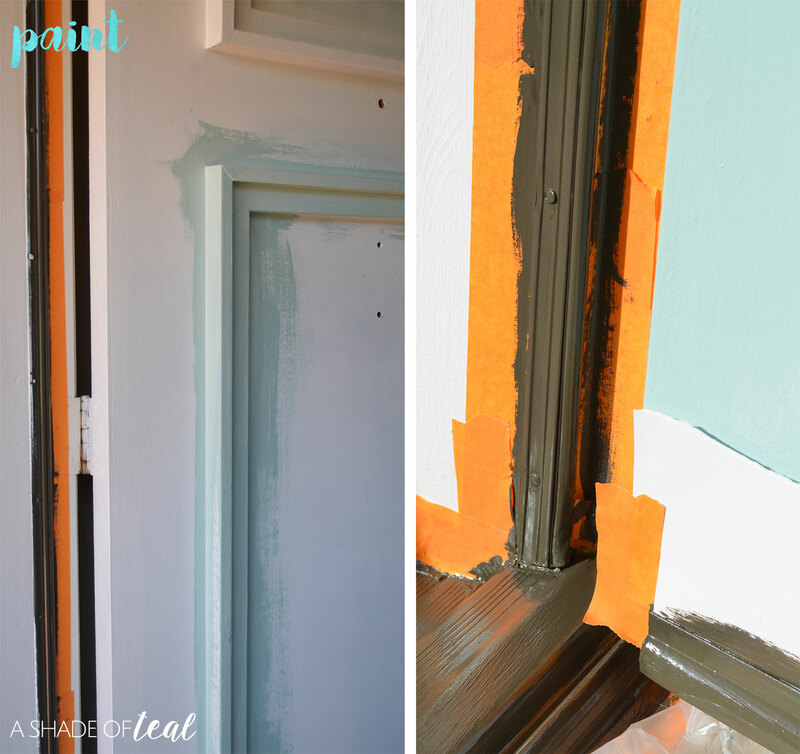 Perfect next to your stucco color! It came out great! My door could use a little refresher, too! My front door needs some painting too. It gets the sun on it all day and that cracks the wood. I know what you mean, but Dunn-Edwards paint is perfect for this. Thanks Rachel! 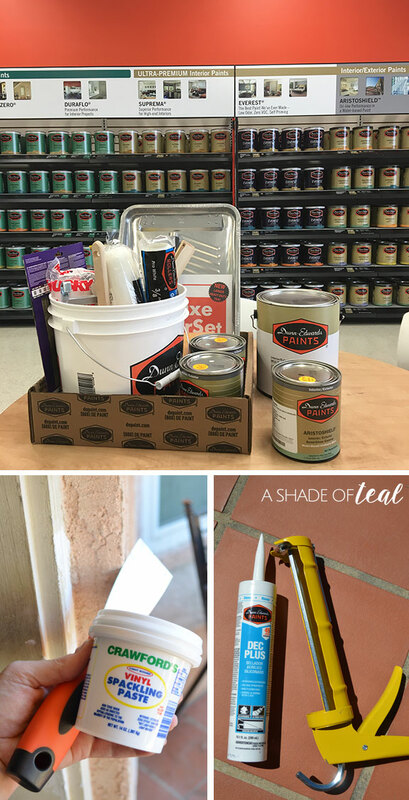 Don’t forget to pick up your free paint sample! I love these door ideas! I never thought to decor the front door could require so much details, but its all worth it in the end. Thanks Victoria! 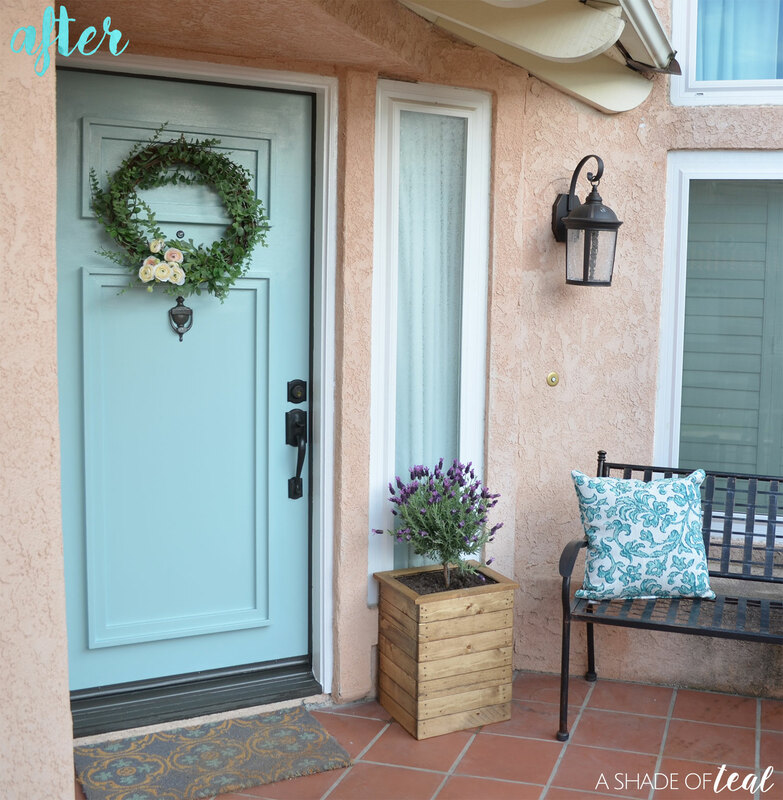 It’s amazing what a little decor can do to the front door! That’s really lovely! I’m glad you were able to go to a place with a lot of choices for color. I loved the after results! It’s perfect for Spring! 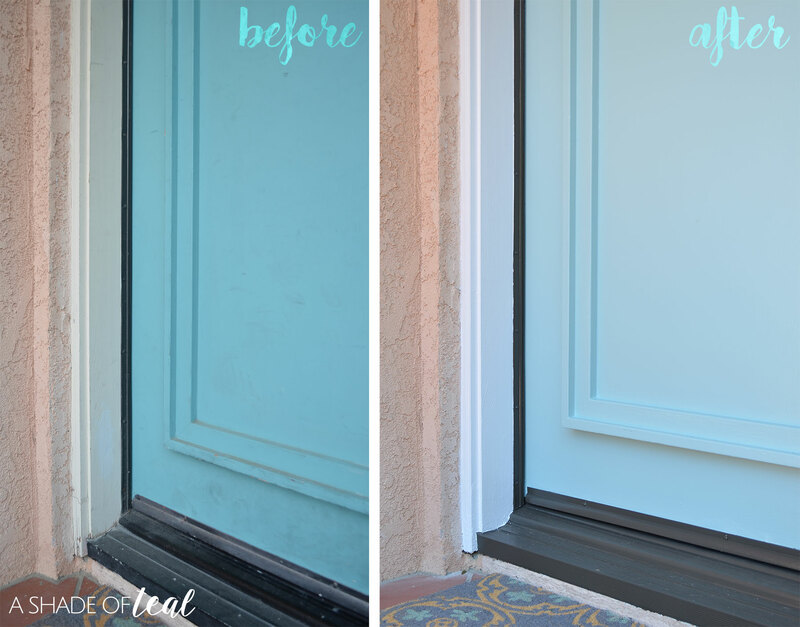 The color of your door is so pretty now! 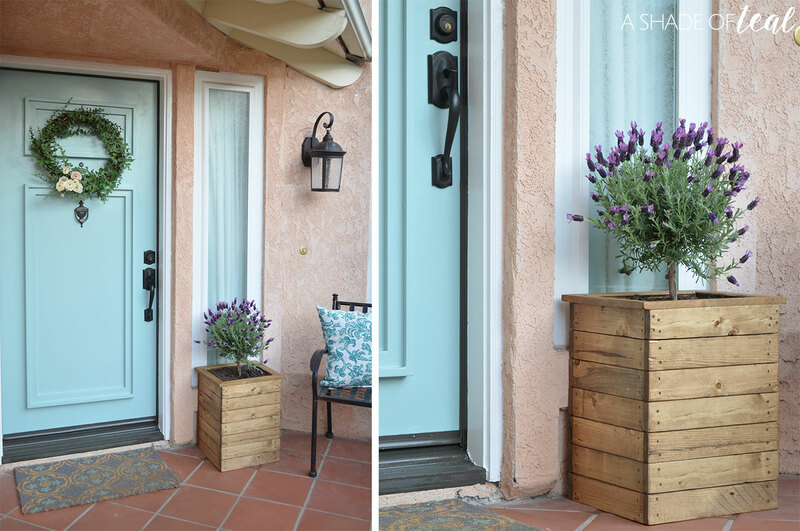 I also love that planter, springtime is the perfect time to do house projects like this. Thanks Emily! I know what you mean, Spring always get me motivated for house work! It looks great and I love that shade of teal because it is not too over the top, you did a really wonderful job! Wow, what a neat set up, I love the color combination and I want this in my front door too. Oh I just love the after look!! That color is perfect to match your front door. Oh my goodness, I love how fresh and springy this color is! 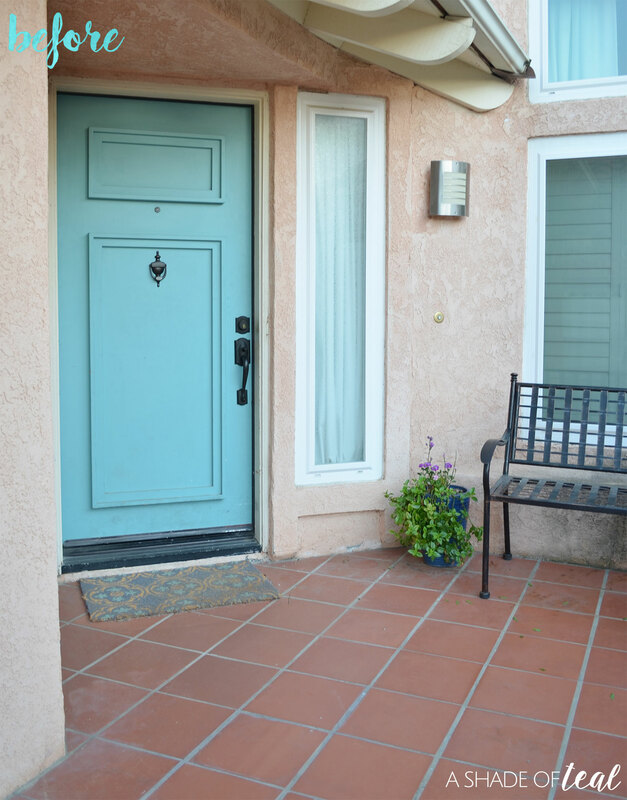 Your entryway is so beautiful and welcoming! Those colors really complement each other. I’m rethinking the color of my front door and these are some colors to reconsider.